Ireo Skyon is a promising place to live in Gurgaon at affordable rentals. One of the good aspects of this residential community in Gurgaon is the fact that it has a fairly large well developed central green area. Step 1: Check your priorities and decide on the size of apartment that you would like to rent in Skyon, factors to be considered in this step would be the size of the family and the number of bedrooms that your family would need for a comfortable living. Step 2: Go through the various available sizes of apartments for rent in Ireo Skyon and the configuration of the apartments, select the apartment that works best for your family. Step 3: Call QuickRent Agent to take you through a physical site visit of the selected size of apartment and other comparative sizes and configurations of Apartments for Rent in Skyon. Step 4: On the site visit with a QuickRent Agent, you should be able to choose the location of the specific apartment type that you are looking to rent in Skyon and ask them to show you the available apartments in the specific desired location. Step 5: Decide on a specific floor, some people prefer to live on Lower Floors, while others choose Middle or Higher Floors for rent in Ireo Skyon, it is totally a personal choice. 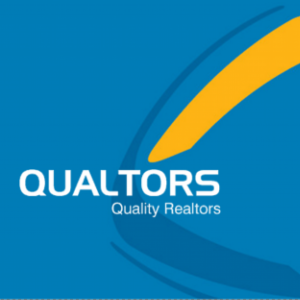 Advise your QuickRent Agent to find an apartment for rent in the specific floor range that suits your family. Step 6: Visit the specific proposed apartment for rent in Ireo Skyon and freeze the apartment with the QuickRent Agent. Step 7: Ask your QuickRent Agent to organize a meet with the Landlords to make sure that the expectations and deliverables are discussed and agreed upon. Step 8: Exchange a financial commitment by issuing a cheque to get the specific apartment off the market and get a commitment from the landlord to confirm that the deal is done. Step 9: Finalize the Lease Terms through your QuickRent Agent by mutually going back and forth over emails with the Landlords and get the final lease draft agreed upon. Step 10: Sign Off the Lease and complete any balance deposits and get the possession of the desired apartment for rent in Skyon. Live Happily & Pay the Rent on Time. In case you are a Landlord looking to rent out your apartment at Ireo Skyon, we can help find Quality Tenants for your Apartment, we have successfully served multiple Landlords / Tenants to find a match at Ireo Grand Arch, and are going to be active in helping Ireo Skyon Owners to Rent out their apartments in Skyon to good Quality Tenants.